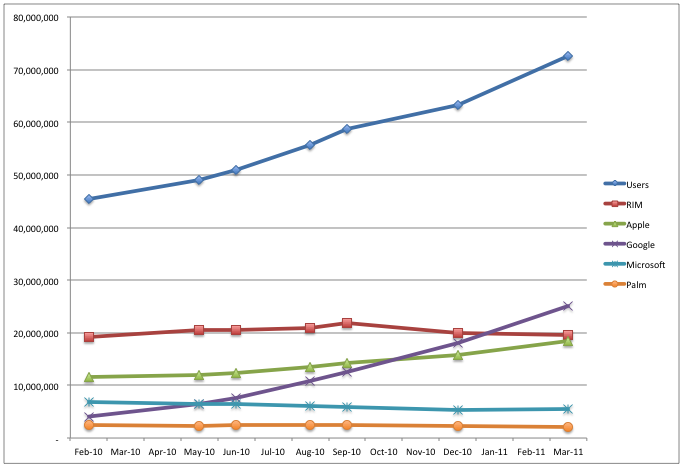 From February 2010 to March 2011, the Blackberry went from 42.1% market share to 27.1% market share. But when you look at the chart, it’s clear that this is mostly due to new smart phone users opting to go for Android and iPhone. Those devices grew by 28m users combined while the overall smart phone market grew by 27.1m users. 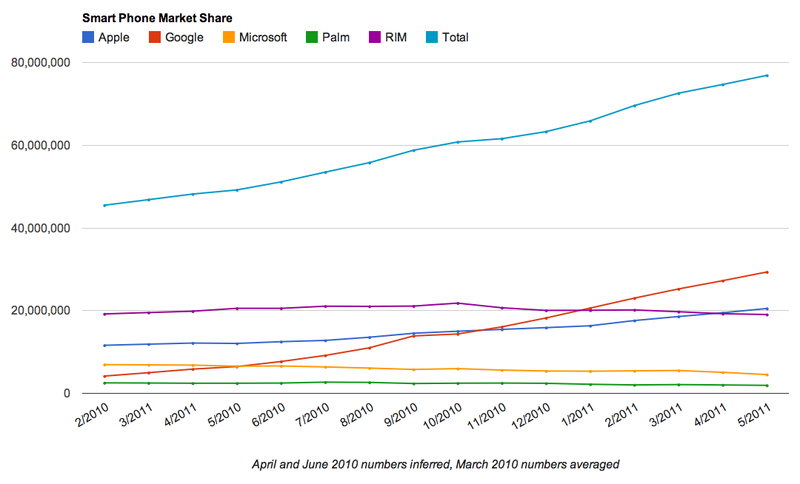 Still, the fact that RIM can’t get any new Blackberry users is a clear sign that they’re in trouble. Here’s a Google Chart with some updated numbers. Click through to view the full-size version.